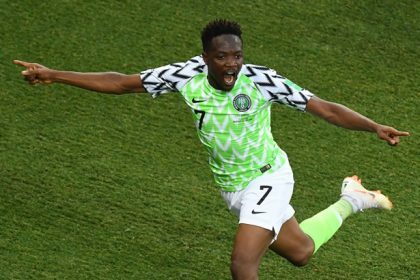 Auchi-based cleric Apostle Johnson Suleiman is back in the news for the wrong reasons not long after his spat with state agencies for allegedly inciting violence. 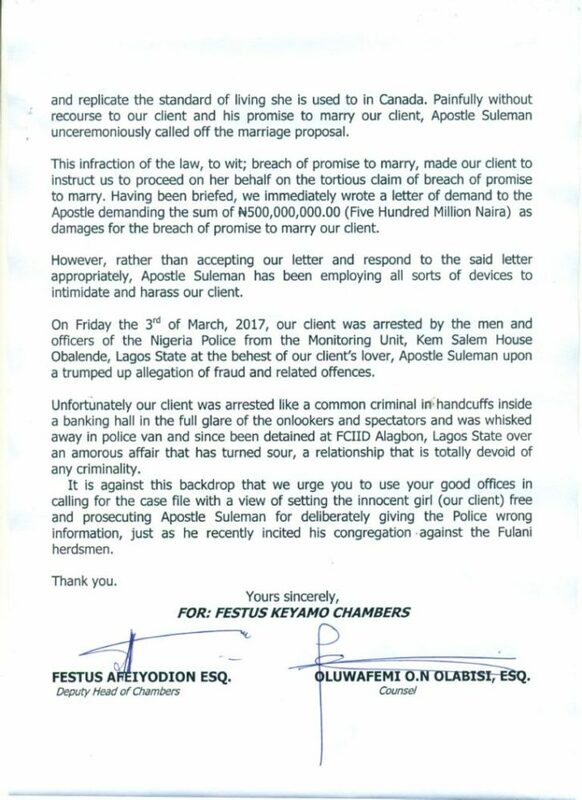 The law firm of Lagos-based lawyer, Festus Keyamo has written a letter to the Inspector-General of Police (IGP) on behalf of one Miss Stephanie Otobo, said to be Apostle Suleiman’s lover, over her arrest on trumped up charges at the behest of Suleiman. Otobo, described as a musician based in Ontario, Canada, who goes by the stage name of Kimora, was reportedly arrested on March 3 at a United Bank of Africa branch by heavily armed policemen from Federal Criminal Investigations Department (FCID), Alagbon, at the Anthony Village area of Lagos. 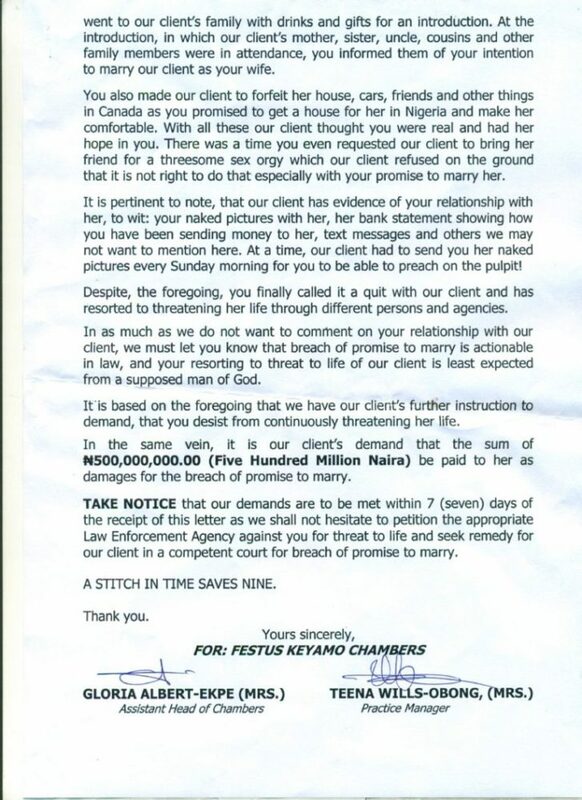 The letter also alleged that Otobo had been denied food and access to her lawyers since her arrest. The controversial cleric and the Canada-based singer were said to have met in 2015 after which they began a relationship when Apostle Suleiman telling her that he had divorced his wife and wanted more male children. The cleric also allegedly made a marriage proposal to Miss Otobo, which she accepted after which they paid a visit to her family in Delta state. 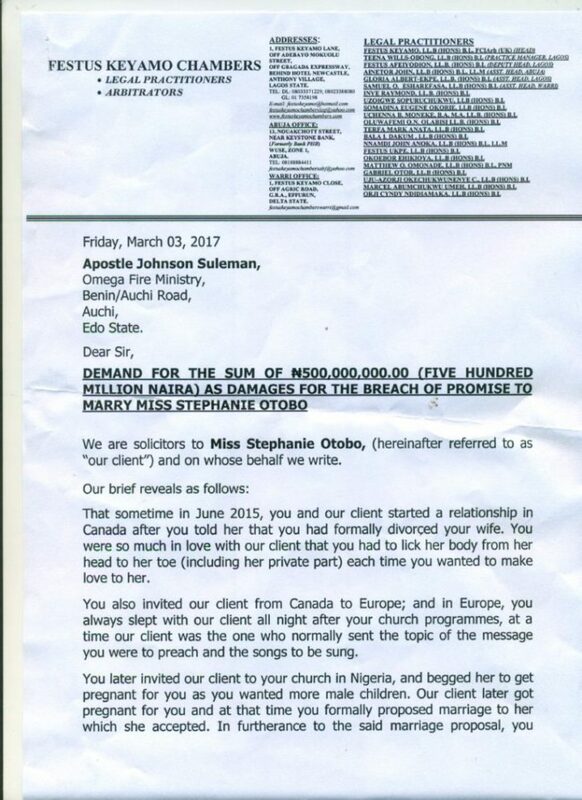 In a letter dated 3rd March, 2017 by the law firm to demand the sum of N500m from Apostle Suleiman for breaching his promise to marry Miss Otobo, the cleric was reminded of his alleged habit of “licking Miss Otobo’s body from her toes to her private part” any time they wanted to make love. 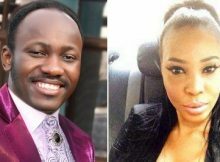 Apostle Suleiman was similarly accused of having sexual relations with Miss Otobo after his church programmes at a time she also selected his sermon topics. 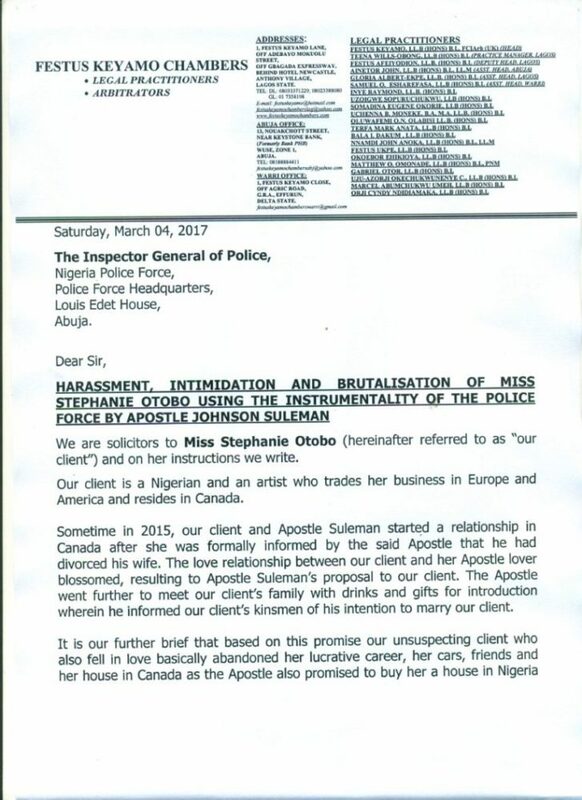 Miss Otobo’s lawyers also warned Apostle Suleiman to desist from threatening the life of their client who they claimed had naked pictures, raunchy text messages, bank statements, and other implicating items to show as evidence of their relationship. 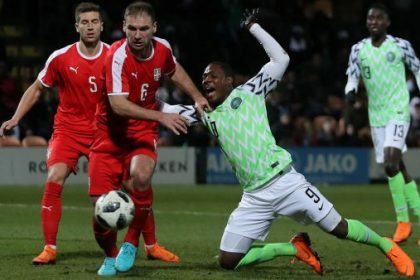 According to Sahara Reporters, the relationship turned sour when Miss Otobo informed the fiery pastor that she was pregnant in September 2016.